The role of the Bay Area Chamber of Commerce is to help improve the economic climate, business environment and quality of living throughout the Bay Area. To help accomplish this, the Chamber has established strong programs to provide positive opportunities for members to network and make new business contacts. Our networking leads groups, speed networking and Great Lakes Bay Regional Business Expo are just a few examples of direct marketing programs developed by the Chamber of Commerce. 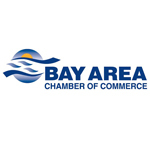 Business assistance programs offered by the Bay Area Chamber include small business seminars, forums and workshops. Additionally, the Chamber established our Young Professionals Network, "Energize Bay County" last year, and this year a new Agribusiness Council is being formed. The Chamber also operates a Manufacturers Council and a Small Business Council. In an effort to bring together viewpoints on issues and policies to improve the Bay Area, the Chamber hosts a variety of programs such as our State of the Community Luncheon, Business-Government Summits and Legislative Roundtables. These programs are designed to increase working relationships between local government, business and labor. These efforts, for example, have led to support for development of the new Karn-Weadock Clean Coal Power Plant by every local governmental unit in Bay County, every significant local labor organization and every major business association in the Great Lakes Bay Region in partnership with our regional state legislators, led by Representative Jeff Mayes and Senator Jim Barcia. Other efforts, including our joint effort to keep General Motors Powertrain operating in Bay City, have also been successful. Chamber programs designed to help improve the quality of education in Bay County are led by our Business Education Partnership which includes business leaders, every school superintendent in Bay County and the presidents of our colleges and universities. Under their leadership, the Chamber is working on twenty programs. For 2010, the Board of Directors of the Bay Area Chamber of Commerce has established sixty-six specific objectives that fall under six general goals. 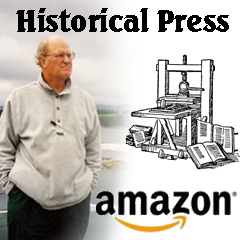 Every one of them, either directly or indirectly, is designed to help move this great community forward.